We’re ready for 100% Optical… and very much looking forward to seeing you there! 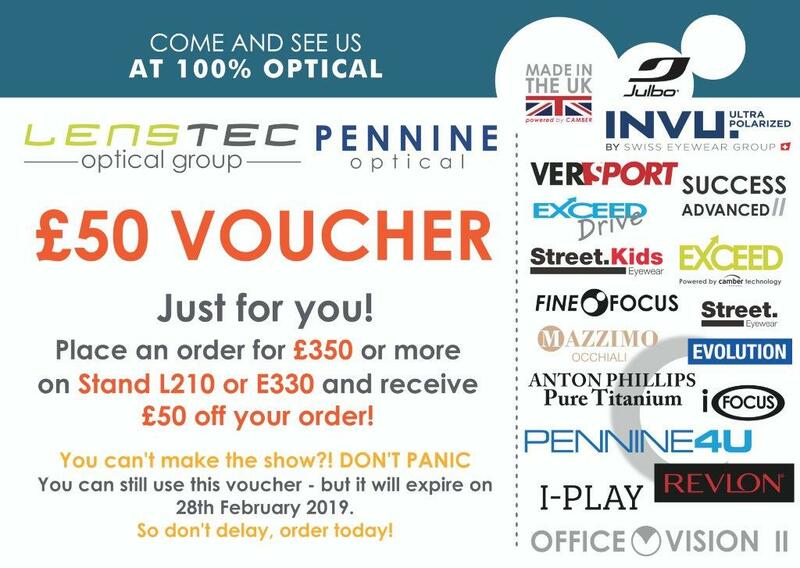 Visit both Lenstec Optical Group and Pennine Optical to see how we can help you in your practice! We're very much looking forward to seeing you at 100% Optical. It's always a lively show and we hope to see you on both of our stands. Our Teams will be on hand to discuss the latest spectacle lens solutions, new and existing own label digital progressives, and our expanded material range which will meet those dispensing challenges. Julbo, VerSport and INVU are still in demand and will again be showing off new styles to suit all desires. Pennine Optical will also be showcasing new ranges from their fabulous frame collections as well as their case and cloth selections. I look forward to meeting you and listening to your comments over a relaxing glass of Prosecco.